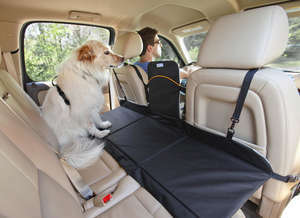 Kurgo Dog Backseat Bridge gives extra security for you and your pet while travelling in the car. 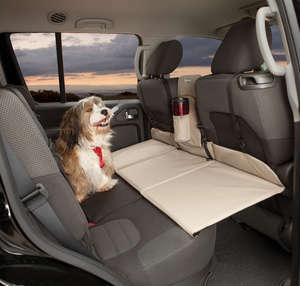 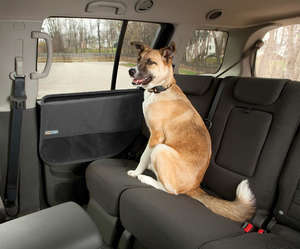 Sometimes your pet just needs a little more open space in your car to feel secure and comfortable while travelling. The Kurgo Backseat Bridge does what its name says and bridges the gap between your front and rear seats, so falling to the floor is never a problem for your dog. The Kurgo Backseat Bridge is easy to fit and simple to use. 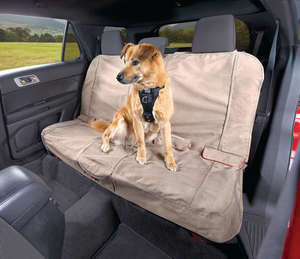 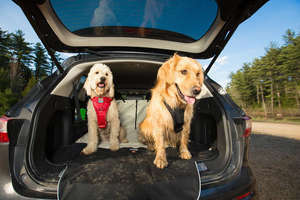 With a few simple attachments this padded bridge connects between seats to extend your dog’s spot, providing the extra comfortable space that they need to have a happy ride. 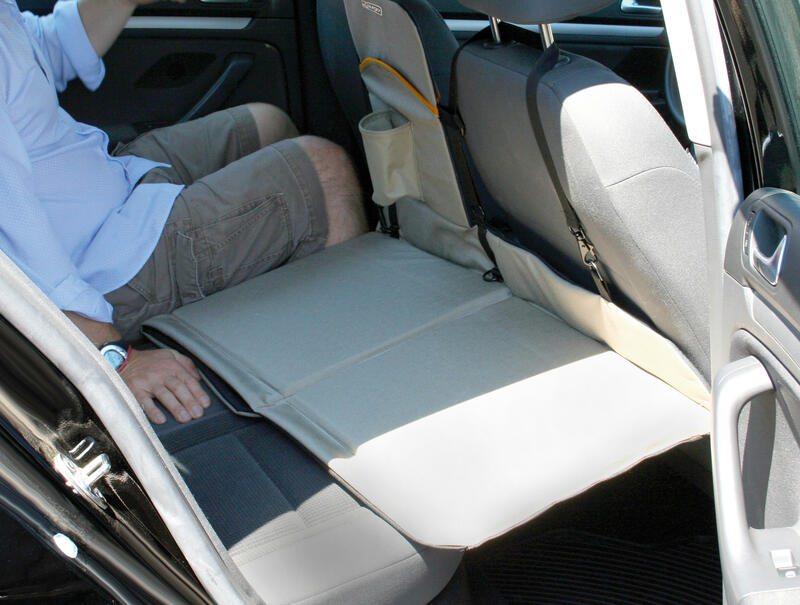 There is a fold down centre barrier that acts as a wall, just in case you stop short, and also a built in cup holder and pocket for organisation.